Want to work out your arms quickly and get on with your day? You’ve come to the right place! Do each of these exercises for 30 seconds each and complete the circuit four times. 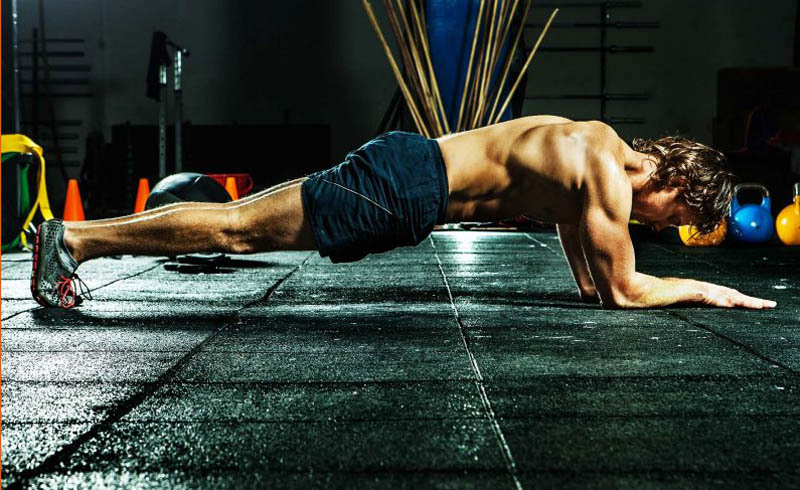 In a push-up position, place your hands together to make the shape of a triangle below you. Lower down into the push-up, keeping your elbows in to target your triceps. Feel free to perform on your knees to decrease the difficulty. Get your arms ready with this warm up. Make small circles with your arms rotating forward for 30 seconds – for an extra challenge, use dumbbells. Then switch up, rotating your arms backwards for another thirty seconds. The last two rounds are spent repeating the first two rounds, but with larger circles. After that is finished, you are ready to get into the workout! 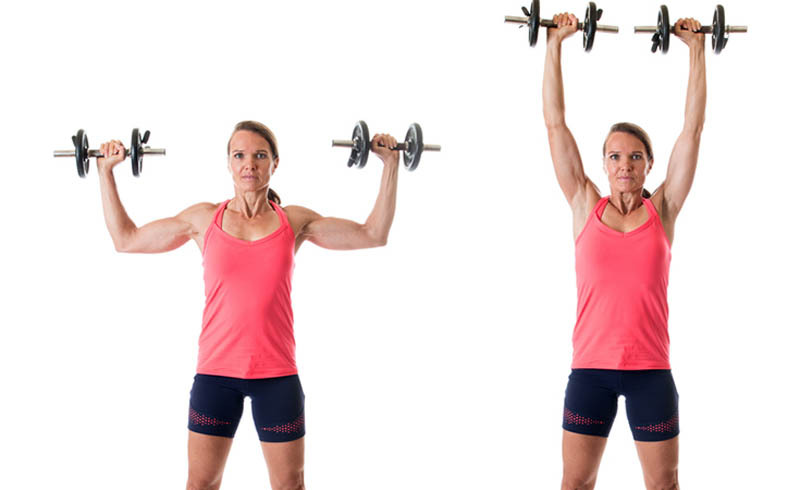 Take two dumbbells and lift them above your head, extending your arms as far overhead as they can go without locking your elbows. Then slowly bring each arm down, beside your head. Stand with your feet shoulder-width apart, back straight, abdominal muscles in, and your knees slightly bent. Take two dumbbells and hold them down by your legs. Take one arm and raise the elbow to bring the dumbbell up, parallel with the shoulder. As you lower that arm, take the opposite arm and do the same thing. While either standing or sitting down, take one dumbbell and hold it in both hands. 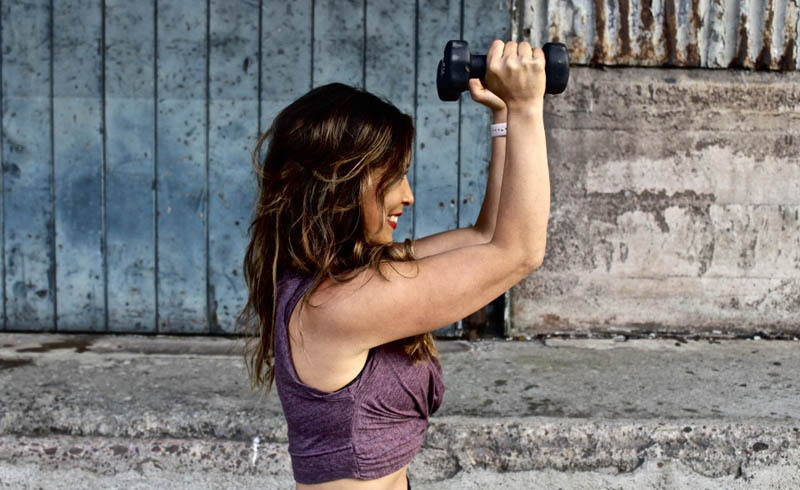 Take the dumbbell and slowly lift it up above your head. Then slowly bend your elbows back and lower the dumbbell behind your head, keeping your elbows in. Raise the dumbbell back up for one rep.
Make sure not to arch your back or tilt your head to prevent injury.